(a) Uncommuted pension is a periodic payment received after retirement. Illustration : Mr. Keshav receives pension of Rs. 25,200 per month after his retirement from Shyamal Ltd.
(b) Commuted pension is a lump sum payment in lieu of periodic pension. Illustration : At the time of retirement, Mr. Keshav received a lump sum payment of Rs. 2,52,000 towards commuted pension (i.e., in lieu of monthly pension). (c) An employee may (depending upon his service rules) partly commute his pension and receive the balance as periodic payments (i.e. uncommuted). Illustration : Mr. Keshav decided to commute 84% of his pension for Rs. 2,11,680 and continue to receive the balance in periodic payments (i.e. uncommuted). In this situation, Rs. 2,11,680 is called as commuted pension and Rs. 2,52,000 (Rs. 2,11,680 ÷ 84 × 100) is called as full value of commuted pension.  If the employee receives gratuity, one third of full value of commuted pension will be exempt from tax under section 10(10A)(ii)(a).  If the employee does not receive gratuity, one half of full value of commuted pension will be exempt from tax under section 10(10A)(ii)(b).  For exemption in respect of pension in case of gallantry award winner and family members of armed forces refer to section 10(18) and 10(19).  Family pension received by the family members of the employee after the death of the employee, is charged to tax in the hands of recipient under the head “Income from other sources”. In such a case, deduction of lower of 1/3rd of the amount of pension or Rs. 15,000 is available from such income.  Relief under section 89 is available in respect of amount of commuted pension which is not exempt from tax. Mr. Kapoor is a Government employee. On 31-12-2012 he retired from his service. For the month of January 2013, he received pension of Rs. 8,400 per month. On 1-2-2013, he commuted 50% of pension for Rs. 84,000 and continued to receive balance of 50% of pension of Rs. 4,200. What will be the tax treatment of pension in the hands of Mr. Kapoor if he received gratuity of Rs. 1,84,000 at the time of retirement and if he has not received any gratuity at the time of retirement? As per section 10(10A)(i), any commuted pension, i.e., accumulated pension in lieu of monthly pension is exempt in the hands of a Government employee. There is no exemption in respect of uncommuted pension. In this case, for the month of January, Mr. Kapoor had received pension (uncommuted) of Rs. 8,400 and for the month of February and March he would be receiving Rs. 4,200 per month as uncommuted pension. This amount will be fully taxed. Commuted pension received by a Government employee is exempt from tax. This rule will remain same even if the employee is receiving gratuity. Thus, nothing will be taxed in respect of commuted pension of Rs. 84,000. Mr. Kapoor is a non-Government employee. On 31-12-2012 he retired from his service. For the month of January, 2013, he received pension of Rs. 8,400 per month. On 1-2-2013, he commuted 50% of pension for Rs. 84,000 and continued to receive balance 50% of pension of Rs. 4,200. What will be the tax treatment of pension in the hands of Mr. Kapoor if he received gratuity of Rs. 1,84,000 at the time of retirement and if he has not received any gratuity at the time of retirement? For the month of January, Mr. Kapoor had received pension (uncommuted) of Rs. 8,400 and for the month of February and March he would be receiving Rs. 4,200 per month as uncommuted pension. This amount (i.e., uncommuted pension) will be fully taxed. If Mr. Kapoor has received gratuity, then out of Rs. 84,000 received on account of commuted pension, Rs. 56,000 [1/3rd of Rs. 1,68,000 (Rs.84,000/50*100)] will be exempt from tax. If Mr. Kapoor has not received gratuity, then out of Rs. 84,000 received on account of commuted pension, Rs. 84,000 [1/2 of Rs. 1,68,000 (Rs.84,000/50*100)] will be exempt from tax.  Compensation is received by an employee of an undertaking specified in section 10(10C).  Compensation is received in accordance with the scheme of voluntary retirement/separation, which is framed in accordance with prescribed guidelines. (for guidelines see Rule 2BA).  Maximum amount of exemption is Rs. 5,00,000.  Where exemption is allowed to an employee under section 10(10C) for any assessment year, no exemption under this section shall be allowed to him for any other assessment year.  Relief under section 89 is admissible in respect of such amount.  With effect from assessment year 2010-11, section 10(10C) has been amended to provide that where any relief has been allowed to an assessee under section 89 for any assessment year in respect of any amount received or receivable on his voluntary retirement or termination of service or voluntary separation, no exemption under section 10(10C) shall be allowed to him in relation to such, or any other assessment year. Illustration : Mr. Krunal is working in Essem Ltd. from January, 2000 at a monthly salary of Rs. 84,000. His official date of retirement is January, 2020. In June, 2012, the company declared a voluntary retirement scheme. The scheme of voluntary retirement is framed in accordance with prescribed guidelines given in Rule 2BA. Mr. Krunal opted for the scheme and received Rs. 8,40,000 as compensation on account of voluntary retirement. In this case, Rs. 5,00,000 will be exempt in the hands of Mr. Krunal and balance Rs. 3,40,000 will be charged to tax.  Whether amount contributed by the employee will qualify for deduction under section 80C?  What will be the tax treatment of amount contributed by the employer?  What will be the tax treatment of annual interest being credited to the provident fund account of the employee?  What will be the tax treatment of amount withdrawn from provident fund? Exempt from tax if rate of interest is upto 9.5%. Interest in excess of 9.5% is charged to tax.  Commission based on fixed percentage of turnover achieved by the employee. (a) If the employee has rendered a continuous service of 5 years or more. (b) If the service of employee is terminated before the period of 5 years due to his ill health or discontinuation of business of the employer or other reasons beyond his control. (c) If on termination, the employee takes employment with any other employer and the balance becoming payable to him is transferred to his account in any recognised fund maintained by such other employer, then the amount so transferred will not be charged to tax.  Employee’s contribution is not charged to tax; interest thereon is taxed under the head “Income from other sources”.  Employer’s contribution as well as interest thereon will be taxable as salary income. However, relief under Section 89 will be available. (a) An amount calculated in accordance with the provisions of section 25F(b) of the Industrial Dispute Act, 1947 (i.e., 15 days’ average pay for each completed year of continuous service or any part in excess of six months). (b) Maximum amount specified by the Central Government (Rs. 5,00,000). Aforesaid limit is not applicable to the cases where compensation is paid under any scheme approved by the Central Government. An employee can claim relief in respect of excess amount taxed.  What will be the tax treatment of contribution made by the employer?  What will be the tax treatment of amount received from approved superannuation fund? With effect from assessment year 2010-11, employer’s contribution to an approved superannuation fund in excess of Rs. 1,00,000 is charged to tax as perquisite.  Refund of contribution to an employee on leaving the service (otherwise than above mentioned reason) to the extent to which such payment does not exceed the contribution made prior to April 1, 1962.  By way of refund of contributions on the death of a beneficiary.  Whether amount contributed by the employee will qualify for deduction under section 80CCD?  What will be the tax treatment of amount received from the scheme? 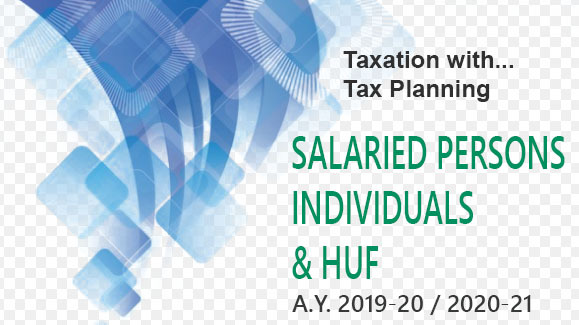  As per section 80CCD, an individual who is employed by the Central Government/any other employer on or after January 1st, 2004 or a self employed assessee can claim deduction under section 80CCD in respect of contribution to NPS.  Amount paid/deposited (during the previous year) in assessee’s account, under NPS will qualify for deduction under section 80CCD. (a) Employee’s contribution during the year to notified pension scheme, subject to condition that maximum of 10% of salary is deducted in the year in which contribution is made. (b) Employer’s contribution during the year to notified pension scheme is first included in the income of the assessee, and then such contribution, subject to maximum of 10% of salary, is deducted in the year in which contribution is made.  On closure of aforesaid account or in case the employee opts out of the said scheme or on receipt of pension from the annuity plan, credit balance in such pension account for which deduction is claimed and accretion to such account is taxed in the hands of receiver in the year of receipt. If amount received on closure is used for purchasing an annuity plan in the same previous year, then such amount will be exempt from tax.  If deduction in respect of above amount is claimed under section 80CCD, then deduction of the same amount cannot be claimed under section 80C.  Aggregate deduction under sections 80C, 80CCC and 80CCD(1), (i.e., employee’s contribution) cannot exceed Rs. 1,00,000.